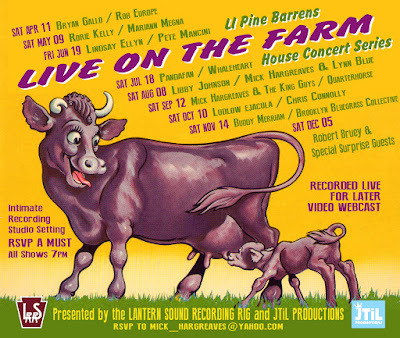 Mick Hargreaves | Official Site: Sat 11/14 8p LIVE ON THE FARM #Houseconcert No. 8: #Bluegrass Double Header! 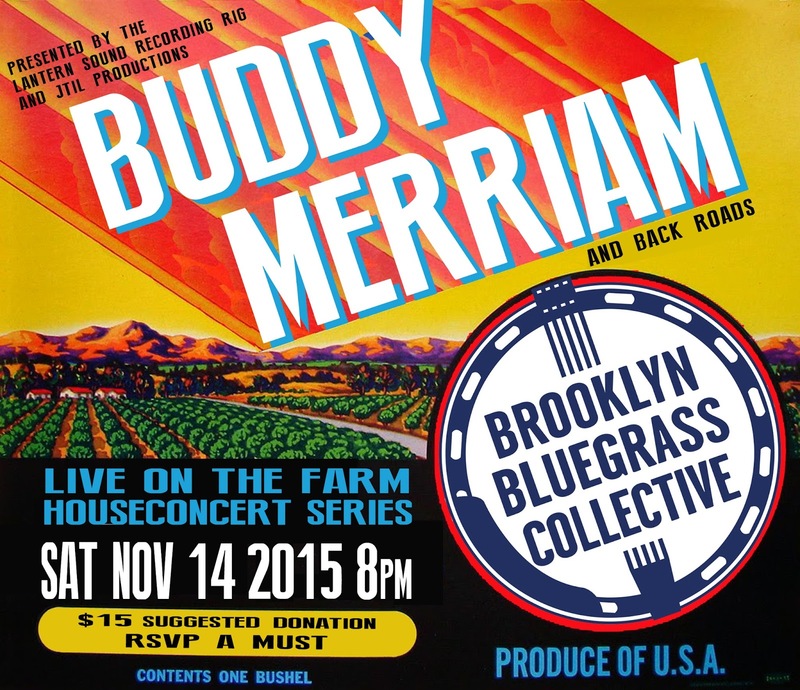 Sat 11/14 8p LIVE ON THE FARM #Houseconcert No. 8: #Bluegrass Double Header! SAT NOV 14 2015 - Doors 8pm / Music 8:30pm. The eighth installment of our monthly series, recorded live for video and audio at the Lantern Sound Recording Rig with JTiL Productions, features a Bluegrass Double-Header: Buddy Merriam & Back Roads, together with The Brooklyn Bluegrass Collective. Beverages, snacks. $15 suggested donation goes to the artists. Bringing a dish to pass and BYOB are AOK. A 2015 Long Island Music Hall of Fame inductee, Buddy Merriam has brought Back Roads down to the Grand Ole Opry in Nashville to perform a few times. They've also performed at the Grand Opening of the BLUEGRASS MUSEUM AND HALL OF FAME and Country Music's Fan Fair in Nashville, TN. The group has played at most of the Northeast Bluegrass Festivals (including Grey Fox &Podunk) and at Long Island venues like Hecksher Park in Huntington, Bald Hill Cultural Center, Agawam Park in Southampton, and concerts for LITMA, Huntington Folk Music Society and the Museums at Stony Brook Folk & Fiddle Festival. 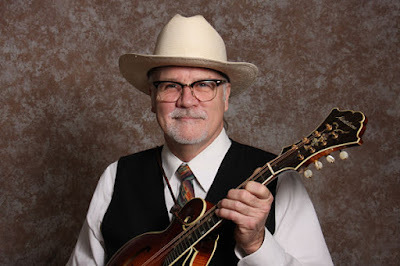 He hosts the popular weekly Blue Grass Time radio show on WUSB 90.1 FM in Stony Brook, NY. since 1991. www.wusb.fm for live streaming. all shows are archived for one month. 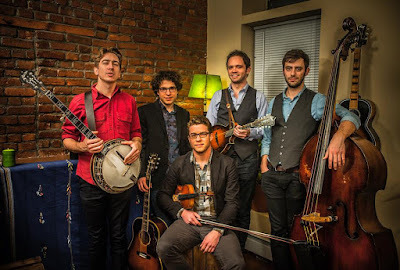 The Brooklyn Bluegrass Collective aims to capture the best of talent and spirit that resides in the roots music community of Brooklyn, New York. Zack Bruce and Jason Borisoff formed the Collective in the fall of 2014 as a way to record and showcase the expanse of musicianship and style that defines the diverse bluegrass community of Brooklyn. As two musicians working in the scene themselves, Zack and Jason saw a void that needed to be filled by a centrally organized, comprehensive, and musically rigorous cooperative, which would strive to catalog the dynamic sound of Brooklyn bluegrass. Remember your best brunch gig, your best late-night jam in a living room, your best afternoon busking in the park: that’s what we want people to hear.